This is an email from the MHRA to a CBD/Hemp supplier which name is redacted. It clearly sets out the MHRA’s position regarding the Cannabis Trades Association, its ‘Cannabis Products Directive’ proposal and how anyone is able to obtain advice from the MHRA without having to join any trade association. It also explains how medical claims may only be made about a CBD product if it has the required licence known as a marketing authorisation. This is authoritative guidance from the medicines regulator which is an agency of the Department of Health and Social Care. If you have received alternative guidance or suggestions that you must join a trade association to sell CBD products, this is incorrect. Thank you for your email of 22ndSeptember 2018 to the Agency. Please note that we can only comment with regards to our position and advise you to contact appropriate Government Departments with regards to obtaining their views. 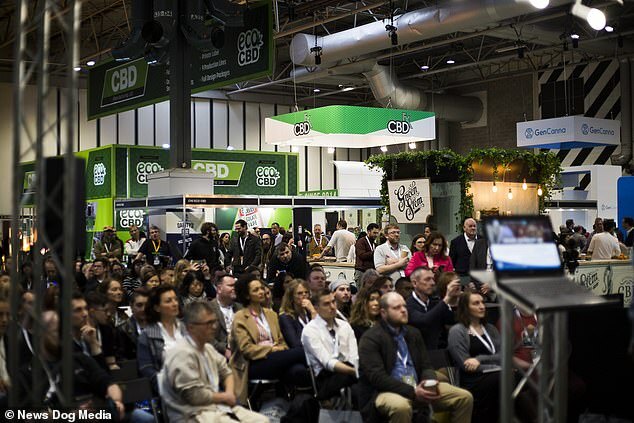 The CTA represent a number of companies in the UK who market CBD and they have proposed a framework, which they have termed the ‘Cannabis Products Directive’, that effectively sets out quality requirements for their members. The Medicines Borderline Section of the MHRA has been clear from the outset that we will work with companies and trade bodies to ensure compliance in respect of CBD products. This is in line with our approach across the borderline and we do not require a company has membership of a trade body to enter into dialogue with us. There are a number of trade bodies, covering a range of product types who are well versed in borderline matters and they are able to advise companies but, if a company does not want to become a member, we can provide them with advice regarding their products. On occasions we may work with trade bodies; as they are able to communicate information on our behalf to their members and we may assist them if they want to come up with guidance on a specific aspect etc. However, ultimately MHRA is responsible the licensing of medicines and for the classification of borderline medicinal products and this cannot be passed to third parties. We list a large number of trade bodies etc who have an interest in borderline matters in a ‘Useful addresses’ Appendix in our Guidance Note 8 (GN8). MHRA has offered an opinion on the regulatory status of CBD and advised that we are currently evaluating the evidence of pharmacological effect. At present we are providing the following general guidance to enquirers until we determine the status of CBD. MHRA is of the opinion that products containing CBD, when used for a medical purpose, should be regulated as medicinal products. The MHRA’s opinion has been issued at this stage with the intention of seeking voluntary compliance by companies supplying CBD for medical purposes. This does not preclude MHRA from seeking to use Part 9 of the Human Medicines Regulations to classify any particular product. 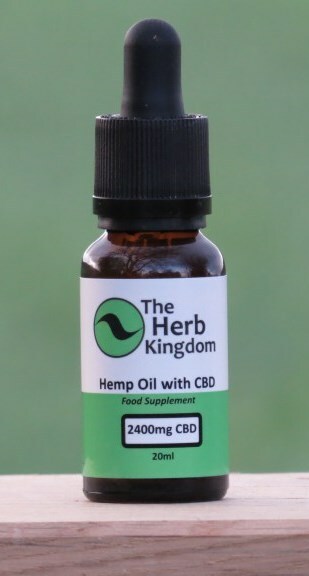 Insofar as the second limb of the definition of a medical product applies to your products, it is a matter of fact that there have been a number of clinical trials which demonstrate that CBD has a therapeutic effect, particularly in the treatment of severe epilepsy. MHRA’s clinical assessors have reviewed relevant scientific and clinical evidence to support the mode of action of CBD in the treatment of a range of medical conditions. It should also be noted that the European Medicines Agency has given CBD products an orphan designation on four occasions, for three different clinical conditions; graft versus host disease, perinatal asphyxia and Dravet syndrome. The MHRA is now working with trade bodies in relation to making sure products containing CBD, used for a medical purpose, which can be classified as medicines, satisfy the legal requirements of the Human Medicines Directive as transposed into UK law by the Human Medicines Regulations 2012. This work is ongoing. Given the ongoing evaluation, MHRA can give no assurance that any particular product, including products under development, will not subsequently be classified as a medicinal product. The Agency reserves the right to change its view in the event of any information or evidence which has a bearing on the status of the products, including the way in which they are presented and promoted. This also includes any information, which we have not assessed. You should seek independent advice or consult a suitable trade association or the appropriate regulatory authority about the acceptability of any product you are considering selling, supplying or advertising. The licensing process is by no means easy, especially with little regulatory knowledge. 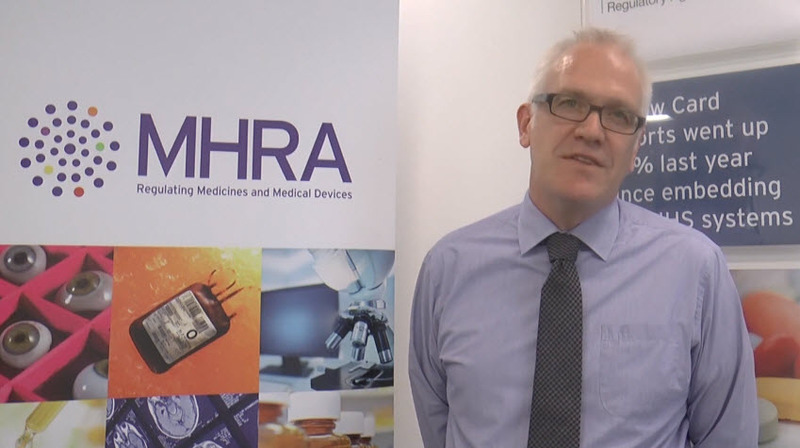 We have included links below which will direct you to the relevant pages on the MHRA website. As an indication of the Legal Basis, you should focus on an 8(3) Full Application, submitted under the complex fee. A National procedure is for authorisation in the UK only. In order to market the product in the UK, a Marketing Authorisation is required. As there are no step by step guidelines, please see the below links for the submission of new marketing authorisation applications (MAA). Furthermore, to obtain marketing authorisations in the UK you must have a registered office or representative either in the UK or another EU member state. GMP (Good Manufacturing Practice) inspections will take place after marketing authorisation applications have been submitted if the site has not been inspected by an EU authority in the last 3 years and does not hold a valid GMP certificate. Please see the below link with regards to the requirements for having Manufacturers and Wholesale Dealers licences: Importers Licence queries. Last week, CLEAR was invited to participate in a teleconference with representatives of the Department of Health and Social Care (DHSC) and the Medicines and Healthcare products Regulatory Agency (MHRA). This followed our written submissions made over the last few weeks. The teleconference included two representatives from each party. The DHSC was represented by the Medicines Pharmacy and Industry section. The MHRA was represented by the Licensing Division. CLEAR has now submitted a summary of all the advice offered which is reproduced below. 1. The definition of cannabis-derived medicinal products (CDMP) is for products that will be re-scheduled in the Misuse of Drugs Regulations out of schedule 1 and ostensibly into schedule 2. These products will be available for prescription by doctors. 2. With the exception of Sativex, a whole plant cannabis extract with a THC:CBD ratio of 1:1, there are no cannabis-derived medicinal products available in the UK which have been licensed by the granting of a marketing authorisation (MA) or a Traditional Herbal Registration (THR). THR licensing is for minor ailments only that do not require the supervision of a doctor. MA licensing would be required for any CDMP aiming to treat most of the conditions for which cannabis is currently being used illicitly unless such CDMPs are prescribed as an unlicensed medicine. 3. In every other jurisdiction in the world where CDMPs are legally available, governments have recognised that licensing regimes designed to regulate single molecule pharmaceutical medicines synthesised in a lab are not suitable for regulating CDMPs. All such governments have either established entirely new cannabis regulators or created a specialist division within the existing medicines regulator. If there is a genuine intent to enable legal access to CDMPs by the estimated one million people currently using illicit cannabis as medicine, this is the only practical route forwards. The cost and length of time involved in obtaining an MA makes them prohibitive for a plant-based medicine. Given the experience of using cannabis as medicine over many millennia, its non-toxic nature and very low risk profile, the rigorous approach of an MA is unnecessary. Recommendation 1. A CDMP regulator should be established encompassing genuine expertise in the use of cannabis as medicine. The Cannabis Trades Association UK (CTA) is already in the process of developing the Cannabis Products Directive (CPD) in co-operation with the MHRA and FSA. 4. There is no justification or evidence that can support cannabis being in such a restrictive schedule as schedule 2 alongside opioids and cocaine. The potential for causing social harm, which is the criterion used to determine the correct schedule, is several orders of magnitude greater with all existing schedule 2 drugs. They are all demonstrated to produce far higher levels of problematic dependence and long-term health harms than cannabis. Recommendation 2. CDMPs should be re-scheduled into schedule 4 alongside Sativex. 5. The primary objective of the definition should be to ensure that the products are safe. Cannabis is non-toxic with no practical lethal dose and any harmful health or social effects are only likely with sustained and abusive use. In normal, moderate and especially medical use the potential for any harm is extremely low, certainly no higher than with common over-the-counter medicines. The main safety considerations are therefore the risk of contamination during cultivation and in subsequent processes such as extraction and refinement of oils, arising from the use of pesticides, herbicides, nutrients and solvents. 6. The definition should be wide enough to encompass all cannabis products that are produced to specified quality standards. It should not be so narrow as to prohibit high THC and/or low CBD products that may well be appropriate in individual circumstances. Prescribing guidelines should be issued to enable doctors to make appropriate clinical judgements on appropriate THC:CBD ratios for different conditions. These guidelines must be compiled by experts in the use of cannabis as medicine, not by the ‘non-experts’ who have been appointed to the expert panel on cannabis-derived medicine. FOI Requests have revealed that none of the members of the panel have any knowledge, experience or expertise in the use of cannabis as medicine. 7. The definition should be wide enough to provide for a future in which doctors can vary THC:CBD ratios and terpene content in accordance with evidence for therapeutic effect. For example, in paediatric epilepsy, CBD has been shown to be the most important compound but some children require a small percentage of THC for it to become effective. Doctors should be free to vary dosage in the same way as they do with many licensed medicines in accordance with the way the patient responds. 8. Regulators/authorities will properly require some independent assessment of the safety of products as defined above. The only such assessments currently available are Good Manufacturing Practice (GMP) and certification by the Cannabis Trades Association UK (CTA). By definition, these certifications are only available for products that are legally available and CTA only operates within the UK where only exempt, low-THC products (known as CBD products) are legally available. GMP certification is available on some cannabis products legally available outside the UK. 9. Cannabis consists of around 500 molecules including approx. 110 cannabinoids, 120 terpenes and 20 flavonoids which provide the important therapeutic effects, most effectively, when working together in what is known as ‘the entourage effect’. The most significant cannabinoids are believed to be THC and CBD. THC has long been demonised as the principal psychoactive component but it has very important therapeutic effects, notably as an analgesic, an anti-spasmodic and an appetite stimulant. CBD works as an analgesic, anti-inflammatory, anxiolytic and anti-psychotic. It is beyond doubt that they work best together as they enhance each other’s positive effects and ameliorate any side effects. It is vital that cannabis for medical use contains a balance of both. In some conditions, THC is more important than CBD and in others the reverse will be the case. We recommend that for medical use the ratio of THC:CBD should ideally not be less than 10:1. This will protect against any negative effects of THC which a very small proportion of patients may be vulnerable to. In most instances, for medical use, the ideal THC:CBD ratio will be 1:1. Doctors should however be free to prescribe outside these parameters including high THC and high CBD products, subject to prescribing guidelines. Recommendation 3. The definition of CDMPs should be primarily concerned with safety in the production process. CDMPs should have either a. GMP certification b. CTA certification c. an existing MA d. an existing THR. The composition and cannabinoid ratios of CDMPs should be a matter for determination by doctors in accordance with prescribing guidelines. Recommendation 4. 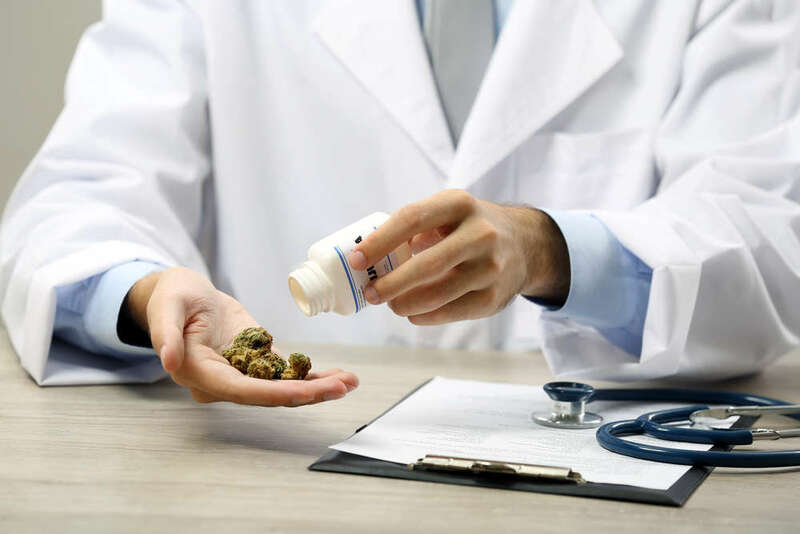 Prescribing guidelines for CDMPs should be developed by experts in the use of cannabis as medicine, not by the ‘non-experts’ who have been appointed to the expert panel on cannabis-derived medicine. 10. Cannabis has traditionally been smoked and millions of people have gained great benefit from it over many centuries. The principal benefits of smoking, which are extremely important, without any of the negative effects, can now be achieved through vaporising. The benefits are rapid onset of therapeutic effect and accurate self-titration of dose. When ingested, either through the GI system or absorbed through the mucus membranes, onset is much slower, the effect is prolonged and accurate titration is very difficult to achieve. Vaporisers are already in widespread use and a variety of different types are available. The Storz and Bickel ‘Volcano’ has a CE mark and is a licensed medical device in Canada and Israel. The Teva Pharma ‘Syqe’ has completed three clinical trials with positive outcomes for safety and efficacy. 11. Vaporised, pharmaceutical-quality, standardised herbal cannabis with consistent cannabinoid and terpene levels is the gold standard in the use of cannabis as medicine. Presently the only way to achieve this in Europe is with GMP-certified cannabis produced by Bedrocan BV, the Netherlands government officially contracted producer. Some Canadian producers are also GMP certified. Recommendation 5. Vaporisers should be made available on loan, for subsidised purchase or free-of-charge in accordance with existing provision for those in receipt of benefits. 12. The DHSC should prevail on GW Pharmaceuticals to reconsider its pricing strategy on Sativex which is presently under a ‘do not prescribe’ edict from NICE on the grounds that it is not cost-effective. The price of Sativex is extraordinarily high and products which, for all practical considerations of safety and efficacy, are identical are available over-the-counter for one-tenth of the price in US cannabis dispensaries. There is no justification for the price of Sativex except for the recovery of the cost of clinical trials which GW Pharma was required to engage in in order to obtain a marketing authorisation. GW Pharmaceuticals should also be encouraged to make herbal cannabis products available as an alternative to Bedrocan, something it should be able to achieve within a few months with little difficulty. 13. Cannabis extracts and oils will be required for some patients, particularly children, and those that cannot or do not wish to use inhalation via a vaporiser. Prescribing guidelines must recognise that the pharmacology of cannabis is totally different when ingested through the GI system or absorbed through the mucus membranes. Absorption of oil through suppositories has also been found to a valuable method of ingestion. 14. While CLEAR fully supports decriminalisation of domestic cultivation of cannabis for personal use, homegrown cannabis should never be considered part of a therapeutic programme under the supervision of medical professionals. The potential for contamination and poor quality is far too high. Recommendation 6. In the short term, aside from low-THC exempt products known as CBD products, the only CDMPs readily available are from GW Pharmaceuticals, Bedrocan BV or Canadian producers, notably Tilray. Standardised herbal cannabis for vaporising or oils for other methods of ingestion should be available from these producers immediately. 15. Originally Nick Hurd MP, the Home Office minister, wrote in The Times, 29th June 2018, that cannabis would be rescheduled and could be prescribed by GPs whenever a benefit could be identified. Without any explanation that now appears to have morphed into ‘specialist’ or ‘senior’ clinicians and only in cases of ‘exceptional clinical need’. As well as a broken promise which is causing widespread consternation, this is irrational, as are suggestions that cannabis should be regarded as a medicine of last resort. The safety profile of cannabis is such that any rational, evidence-based policy would suggest cannabis as a medicine well before many analgesics, anxiolytics and anti-depressants which are widely, readily and regularly prescribed by doctors without any concern. 16. A workable definition of CDMPs together with well-informed prescribing guidelines that enable prescription by GPs for any condition where a benefit is identified is essential. Unless this is satisfactorily achieved, the one million people in the UK currently using cannabis as medicine will continue to do outside the law, outside any form of medicines regulation and without any medical supervision. The likelihood is that this cohort of patients will continue to expand rapidly as knowledge of the therapeutic benefits of cannabis and its use in other countries becomes more widespread. The implications of failing to establish a proper regime are very significant for health, patient-doctor relationships, the criminal market in cannabis, the police and the criminal justice system. This is a nettle that must be grasped. Cannabis Trades Association Receives Official Endorsement From the MHRA. For nearly two years the Cannabis Trades Association (CTA) has been working with the Medicines and Healthcare products Regulatory Agency (MHRA), the Food Standards Agency (FSA), the Home Office, Trading Standards and other UK authorities to bring order and professional standards to the growing market in legal cannabis and CBD products. The MHRA has now officially recognised CTA by inclusion in its Guidance Note 8 ‘A guide to what is a medicinal product’. This is long overdue recognition for the CTA’s work which includes regular liaison with the authorities, providing guidance to businesses operating within the market on the law, regulations, professional and quality standards. The CTA with the MHRA and FSA is also in the process of developing the Cannabis Products Directive (CPD), a framework for regulation and licensing of all cannabis and cannabinoid products. CPD has been translated and submitted to all 28 member states of the EU by the European Food Safety Agency (EFSA). It is anticipated that CPD will become UK law within the next two years and will relieve the Home Office of the burden of the cannabis regulation and licensing process, placing it in expert hands. The CTA was initially conceived at a meeting in Manchester Airport in September 2016. 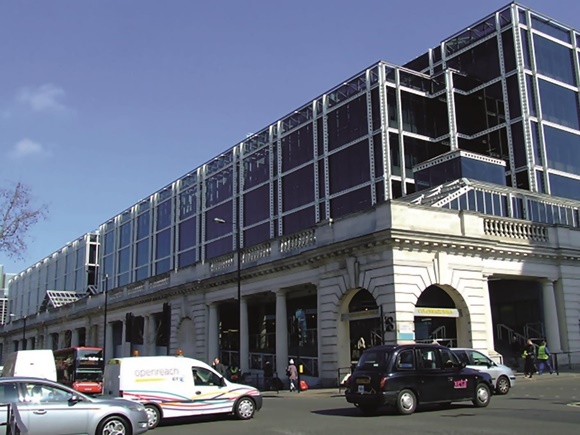 In November 2016, with the assistance of Crispin Blunt MP, then a member of the CLEAR Advisory Board, it was invited to an initial meeting with the MHRA to represent the emerging CBD industry. The market for legal, low-THC cannabis products derived from industrial hemp had grown rapidly within just a few months but was becoming out of control with a multitude of new companies making unlawful medical claims for their products, which themselves were totally unregulated and of inconsistent quality and unknown provenance. Through negotiation and a growing relationship with the authorities, CTA was instrumental in bringing the market back from the brink of a serious clampdown. Now, with over 300 full members and more than 1200 registered sellers, CTA encompasses not just CBD suppliers but also licensed growers and producers of cannabis and businesses involved in the long term development of cannabis products. CTA is closely involved in the rapidly developing reform of the laws around medical use of cannabis and will be working with the authorities to manage development of the products and systems required for what is expected to be a huge new market. She’s back! 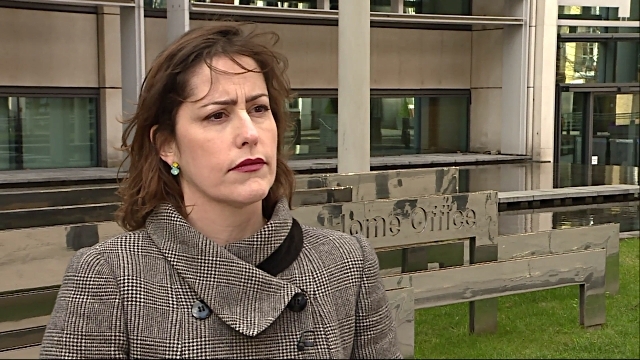 Victoria Atkins MP is again engaged in answering parliamentary questions on cannabis for the UK government. Clearly this is wholly improper when she directly benefits from commercial production of cannabis. Ms Atkins disappeared from public view for a few weeks after CLEAR revealed that her husband is growing 45 acres of cannabis under government licence while she argues against drugs regulation in Parliament. It was particularly notable that she was absent from the House of Commons during the recent urgent question debate on a medical cannabis licence for Alfie Dingley. Instead, her colleague Nick Hurd MP, ostensibly the Police Minister, was required to answer a question on drugs. Similarly, she was nowhere to be seen as Paul Flynn MP’s bill came up for debate, which sadly, as CLEAR had predicted, never took place. It is simply extraordinary that the so-called Drugs Minister should duck and dive out of view when such issues of massive public interest hit the headlines. She has a massive conflict of interest and it is completely unacceptable for her to continue in her present role. Yesterday, 7th March 2018, she answered a written question from Roger Godsiff, the Labour MP for Birmingham Hall Green. This answer is at best disingenuous and misleading. Once the full facts are understood it is clear that it is deceptive and mendacious. But the plot thickens. The deceit goes even deeper. 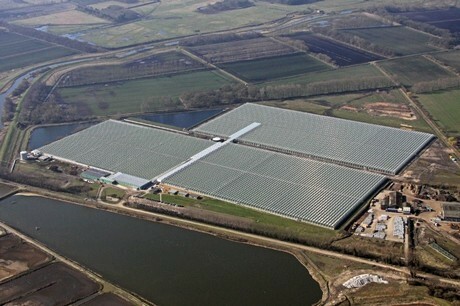 It has been widely reported and British Sugar confirms that its grow is not for Sativex but for production of Epidiolex, the 98% cannabidiol (CBD) medicine that has not yet received an MA. If, as appears certain, this is the case then the British Sugar grow is unlawful under the declared policy of the government. Cannabis production licences (other than low-THC industrial hemp) can only be issued for “research or other special purposes“. They most certainly cannot be issued for the production of a medicine that is not yet authorised. Even if the British Sugar cannabis is low-THC, it is definitely not an approved EU industrial hemp strain and the purpose of its production is presently unlawful. Ms Atkins through her husband is therefore engaged in the unlawful production of cannabis and is directly engaged in misleading Parliament as to government policy, the law and the medical value of cannabis. The World Health Organization story is a trick, a distraction, an excuse to divert Parliament from understanding the truth. Ms Atkins conduct cannot be described in any other way except as corrupt. She is a disgrace as a minister of the Crown, to Parliament, to her profession as a barrister, to the Conservative Party, to her constituents in Louth and Horncastle and to the United Kingdom as a whole and all of its citizens. She is manifestly unfit for any public office.